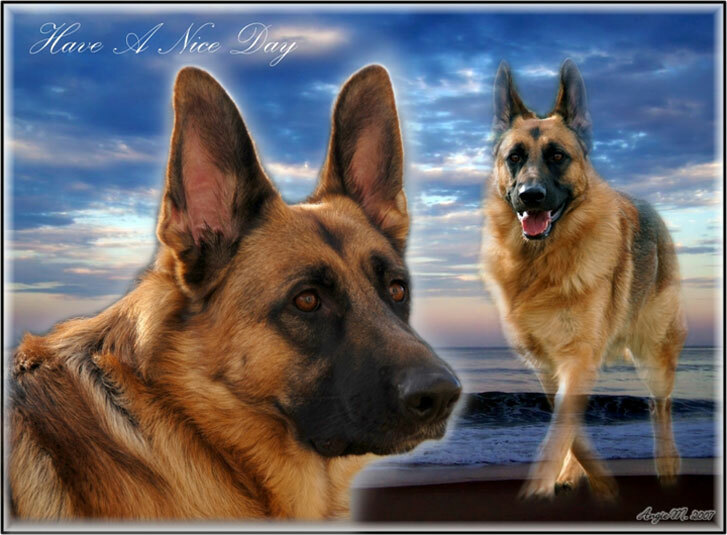 Dedicated to the guard dogs/lgds which protects & has protected us/our charges with its lives!! The main Russian bloodlines can be traced to Moscow, Ekaterinburg, Tambov, Orenburg, Magnitogorsk, Cheljabinsk, Novosibirsk, Donetsk, Lugansk, Ivanovo, Perm, Nizhny Novgorod, and Saint Petersburg, even though there are many different Caucasian strains still found in the Caucasus mountains. In recent years, the term "aboriginal" is being used to describe older, non-show mountain bloodlines, but this is very misleading and often used as a trendy marketing ploy by some breeders. The Georgian dogs are divided into the large, longhaired and often multicoloured Mkinvartsveri Kazbek type and the slightly smaller wolf-grey Nagazi dogs of medium-length coat with longer muzzles, but there is also a separate breed known as Tushetian Nagazi or Georgian Caucasian Sheepdog in Georgia, which represents the original Georgian population of the breed, with the pure white dogs being the most valued. Daghestan dogs are tall, wide-headed and athletic, always short-haired and multicoloured. 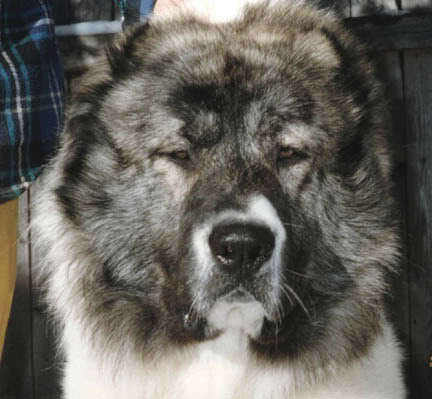 Astrakhan type is found in the Kabardino-Balkarian region and is believed to be a cross between the Russian show type and the old Circassian and Kazbek dogs, but Balkarian Molossers are also rooted in the Sarmatian Mastiff. The Turkish Caucasus dogs are divided into four types, those being the Garban, the Akhaltsihnske type, the Circassian variant and the Kars Dog. The large, short-muzzled, shorthaired fawn, brown, red, with or without white markings and extremely vicious Garban (Gorban) was developed from the Kars and the Kangal, as well as other Turkish dogs being crossed with the Armenian and Kazbek types. The Akhaltsihnske type was then created from the Garban crosses with the Georgian Nagazi variant and possibly Turkish Akbash, resulting in longhaired, lightly built solid-coloured white, fawn and grey dogs. The Circassian variant is believed to be a result of crossing the Kangals with the Cherkes dogs introduced to Turkey after the Russian-Circassian wars. The Kars Dog is a variety closely associated with the Kars province of modern Turkey and is today seen as a separate breed. The Armenian Gamprs are usually slightly smaller than the Georgian dogs and are shorter-necked and more squarely built, also allowing for a great variety of colours, even brown or black. The Azerbaijan Volkodav variant also comes in two types, with the longhaired mountain and short-coated steppe dogs both being smaller than Georgian and Armenian types, always having black masks. A result of matings between the dogs of southern Kavkaz with the Sage Mazandarani and the Kars Dog of Turkey, the Iranian Sage Ghafghazi is a lean, powerful and richly coated mastiff, used as a caravan protector of the Shahsavan nomads, who have been breeding it since the 17th century. These Iranian Caucasians come in a variety of colours, both solid and bicoloured. 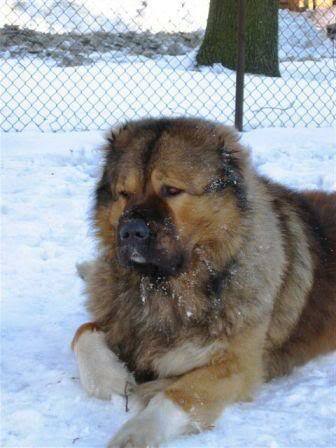 There is also a rare shorthaired Kavkaz mastiff, known as the North-Caucasian Volkodav, which is on its way to receive a separate breed recognition. Even the legendary Alaunt, the breed considered to be the key progenitor of all bulldog breeds, is also originally descended from this Caucasian stock of mountain dogs. As mentioned above, most working Caucasian dogs are hybrids between established types, as well as some lines of the Central Asian dogs, in effect making the Russian show type appear to be a superiorly-bred dog in the eyes of the West. This is of course due to in part to the main difference between the Eastern and Western ways; the dogs being bred strictly for work in the East and primarily for show and companion life in the West. 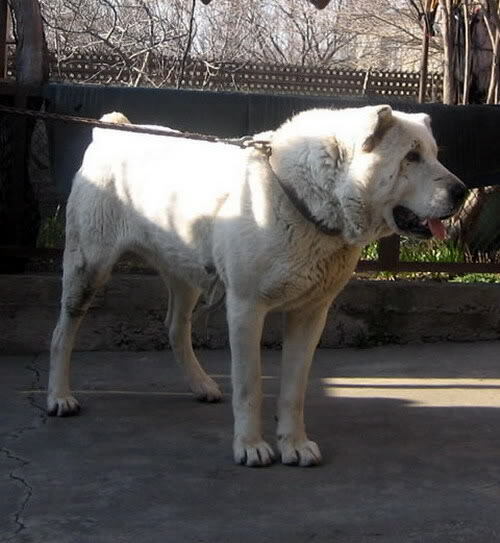 The fighting strains of the Caucasian Ovcharka can contain blood of some European breeds too, from certain mastiffs to even Pit Bull Terriers and Bandogges, but these crosses are a minority in the breed. The Caucasian Molossers were used for centuries to protect properties, guard livestock, kill wolves, hunt bears and for many other duties, but today and especially in the West, they are most commonly employed as companion animals and watchdogs. Most prized as an aggressive property guardian, the mighty Caucasian Ovcharka is an intimidating and committed protector with no equal. The Caucasian Mountain Dog is generally a low activity dog, seemingly lethargic when not working, but extremely agile and convincing when it feels its family is threatened. Although certain strains are more vicious than others, all Caucasians are very territorial and fairly dog-aggressive, needing early and careful broad socialization, as well as firm, but never forceful handling. This wonderful ancient breed makes a good family dog, but it isn't the same thing as a Newfoundland, a Bernese or a St. Bernard and potential owners should be aware of the breeds history and temperament before deciding to tackle the task of raising a Caucasian Mountain Dog. Love those pics, especially the last pic, the white one. Such a beautiful, rugged, powerful creature. I want one. Great work and great info buddy. Wow, gee thanks. I'll attach a video of the ovcharka dogs doing some basic PP work. I am still busier than I thought, hehe, so many things going on. Maybe that's why it is said, time is gold. Simply because we don't often get enough time. Sorry for double posting. Don't know how to edit my previous post with images. This dog reminds me very much of my granmother's dog. Awesome creature.